Teachers love purple. 9 times out of 10 I will go for a purple pen or marker when I grade papers. 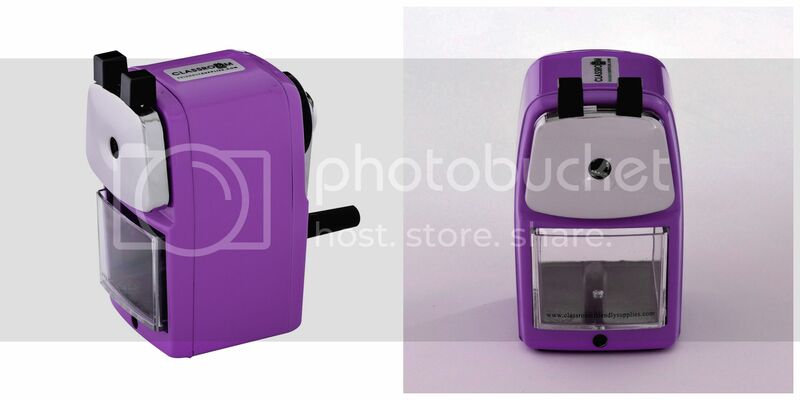 So it makes complete sense that Classroom Friendly Supplies has released a brand new color today - Popular Purple! 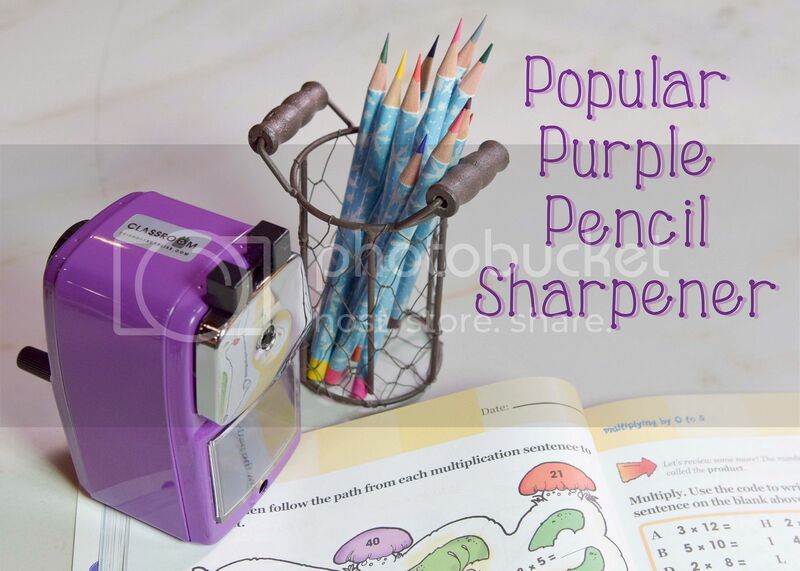 Just like the classic Classroom Friendly Pencil Sharpener, the Popular Purple is a "must have" for every teacher. Why? It allows for quiet sharpening eliminates classroom interruptions. I have this in my classroom and I will tell my students that they must use the Classroom Friendly Pencil Sharpener if their pencil breaks during class instruction. It is so quiet that it does not distract the other students. Oh yea, and it works! I typically hear the ooohs and aaahs once my students use it for the first time. It is honestly gives you the sharpest pencil ever. It is really simple to use. Just follow these steps. The students will get the hang of it after one try. Being students never know when to stop the pencil sharpening process, I love how this one features automatic stopping once the perfect point is formed. This prevents over-sharpening and gets them ready to learn faster. It works on standard sized pencils and has a clear plastic disposal tray for easy cleaning. A unique and practical gift, teachers will love the old-school retro look. Only now, they can get it in Popular Purple! Connect :: Visit Classroom Friendly Supplies for more information on The Quietest Classroom Pencil Sharpener. You can also find them on Facebook and Twitter. Buy It :: You can purchase The Quietest Classroom Pencil Sharpener for just $24.99. Additional discounts are available for buying a set of 3 or a set of 36.